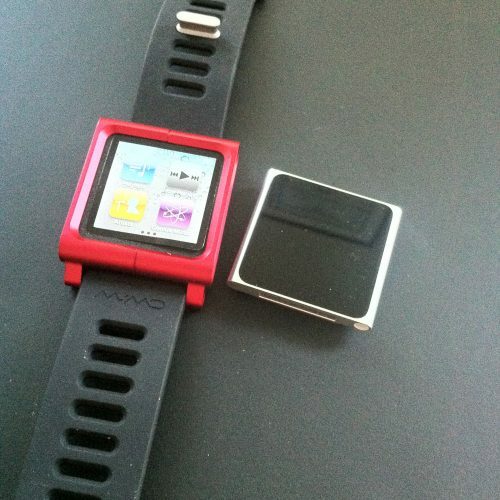 A few months back I jumped on the iPod-Nano-as-a-watch bandwagon, and have been waiting for a suitable watch band ever since. 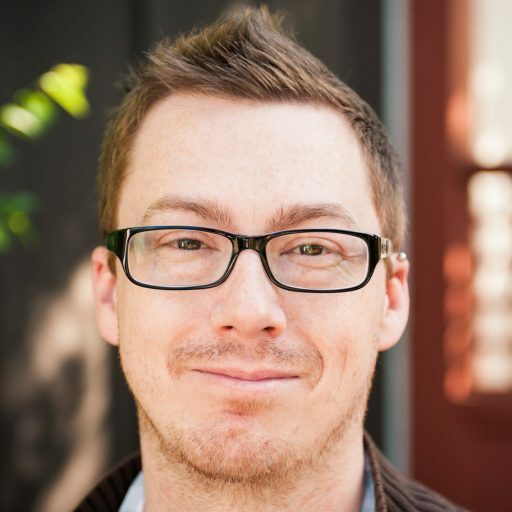 I tried a few and none of them really felt solid enough for daily wear. 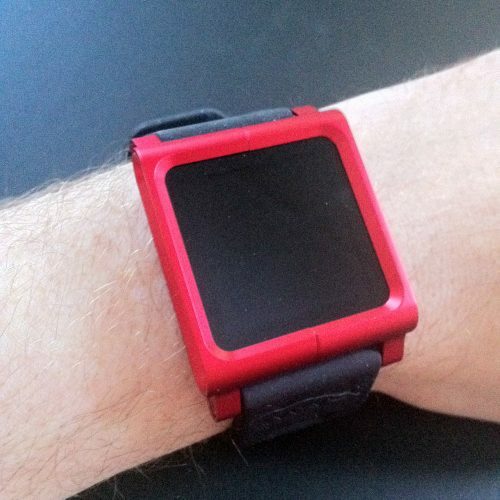 I even made my own out of a $6 X-Men wristband from Hot Topic, which lasted an hour until I ripped it taking it off. 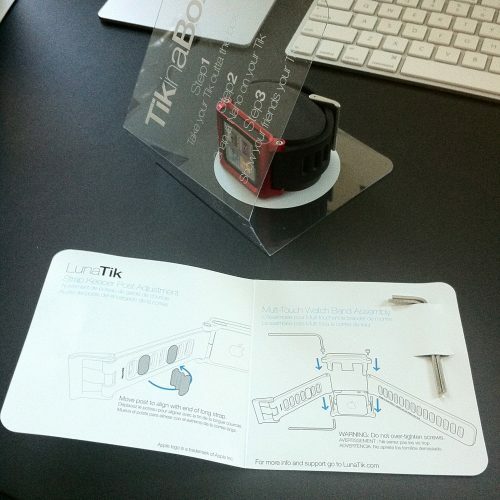 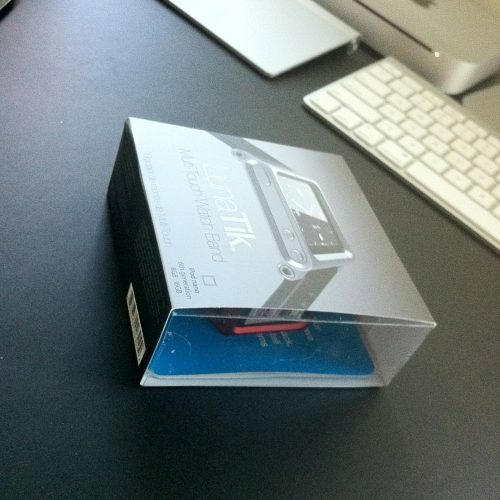 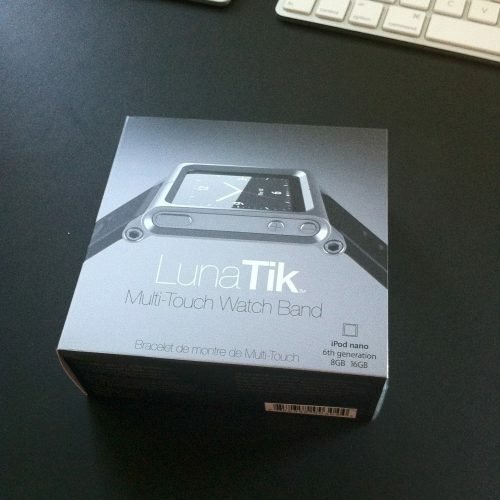 Then I saw the LunaTik on Kickstarter. 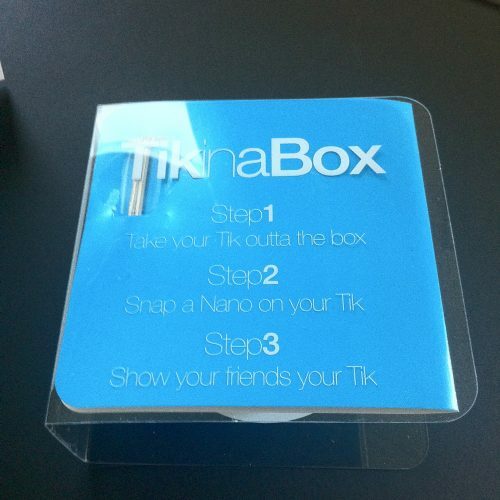 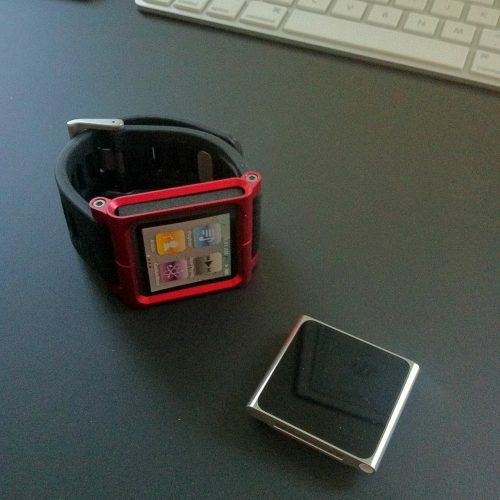 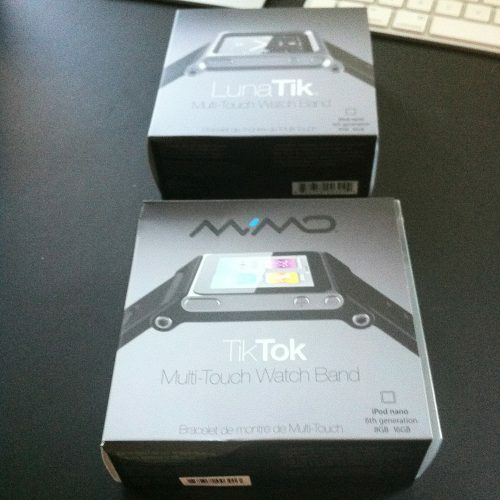 I went for the limited anodized red edition, which came with the awesome (but not quite as awesome) TikTok. 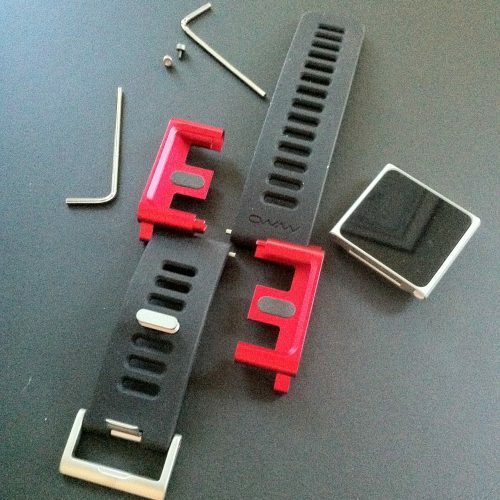 I’ve been wearing it for 10 minutes so far, and it’s as awesome and well constructed as it looks. 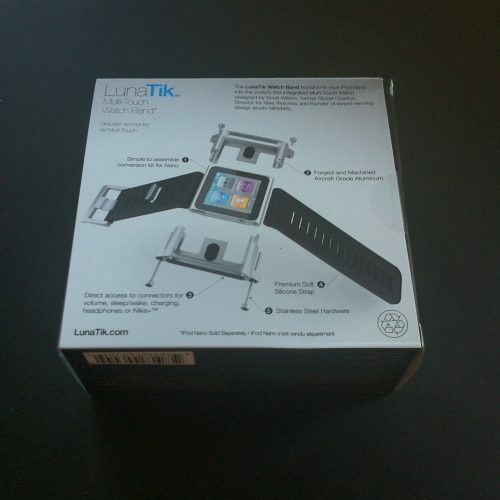 The band feels really strong and comfortable, and the Nano fits exactly perfectly inside it. 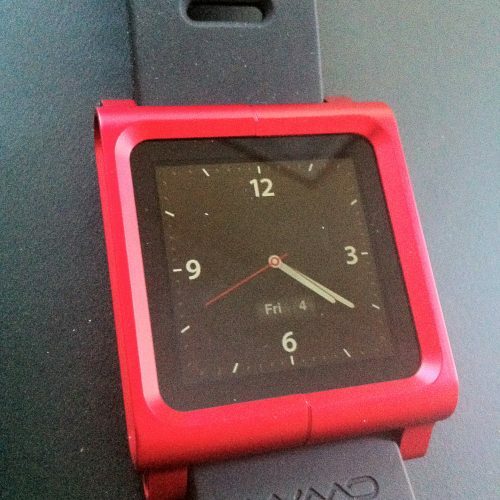 Unlike the Transformers watches I had when I was like 7 years old that kept falling off in the Wisconsin leaf-piles, there is no way the Nano is coming out of this thing no matter how sweet of a jump I hit. 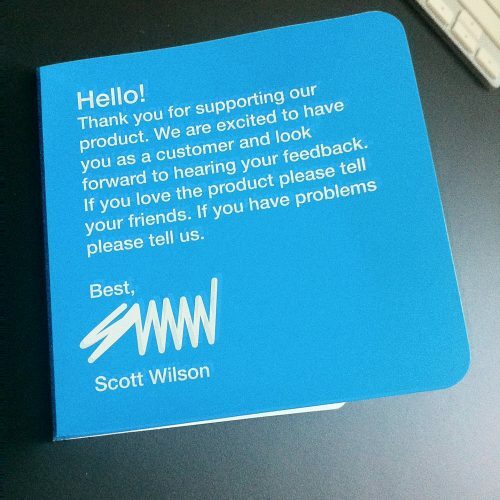 Great job Scott and everyone at MINIMAL!